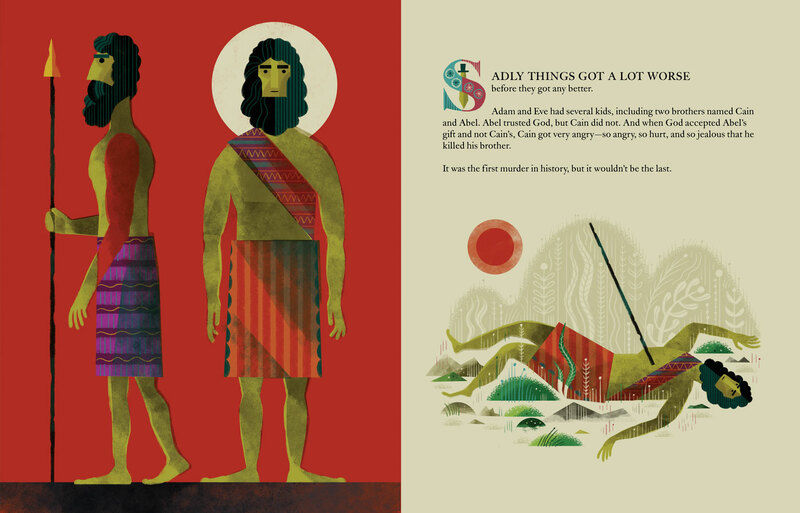 In The Biggest Story, Kevin DeYoung—a best-selling author and father of six—leads kids and parents alike on an exciting journey through the Bible, connecting the dots from the garden of Eden to Christ's death on the cross to the new heaven and new earth. 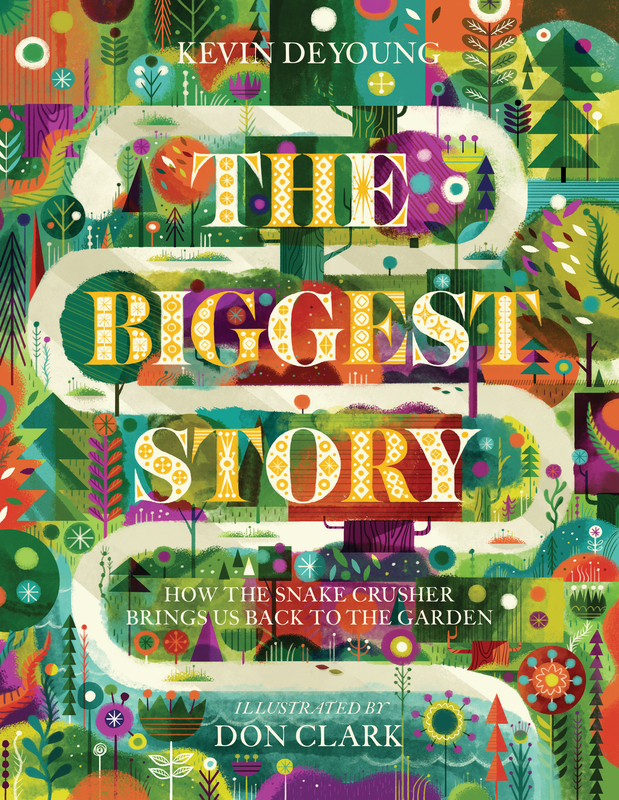 With powerful illustrations by award-winning artist Don Clark, this imaginative retelling of the Bible’s core message—how the Snake Crusher brings us back to the garden—will draw children into the biblical story, teaching them that God's promises are even bigger and better than we think. Don Clark is an artist and the cofounder of Invisible Creature, a widely respected and award-winning design studio based in Seattle, Washington. He has worked with clients such as Target, LEGO, WIRED magazine, Nike, Adobe, XBox, The New York Times, and more. Don lives with his wife and their three children on a ranch thirty minutes southeast of Seattle. 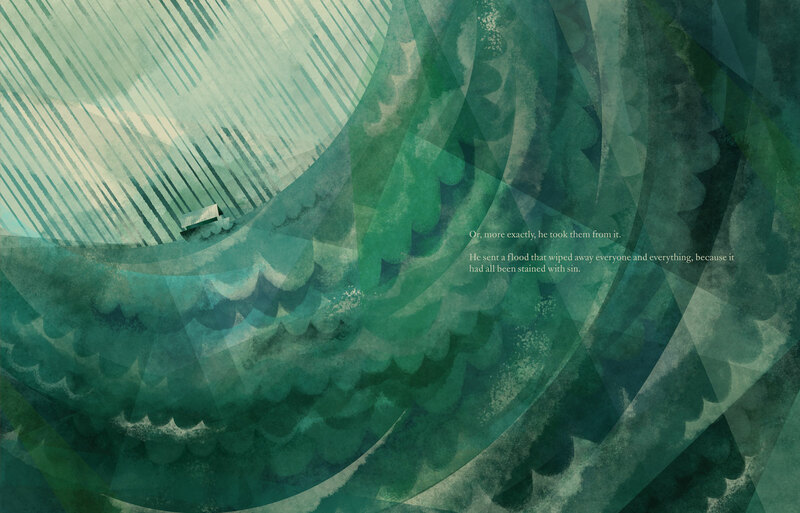 "This book is really wonderfully done. 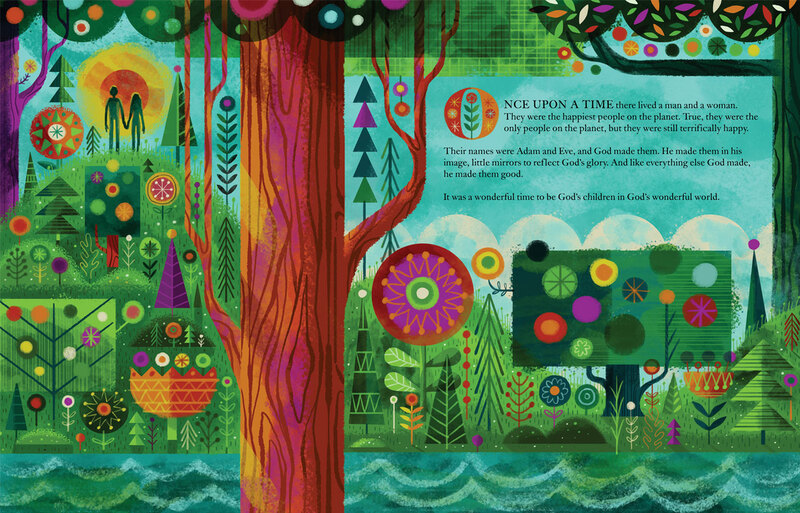 The Biggest Story is a Bible survey, a biblical/theological/historical/redemptive review of the great theme of Scripture, and all done for little kids. The illustrations by Don Clark are quite festive, and invite examination. There is something about this book — it has drawing power. Set it out on the coffee table, and watch people go right to it."